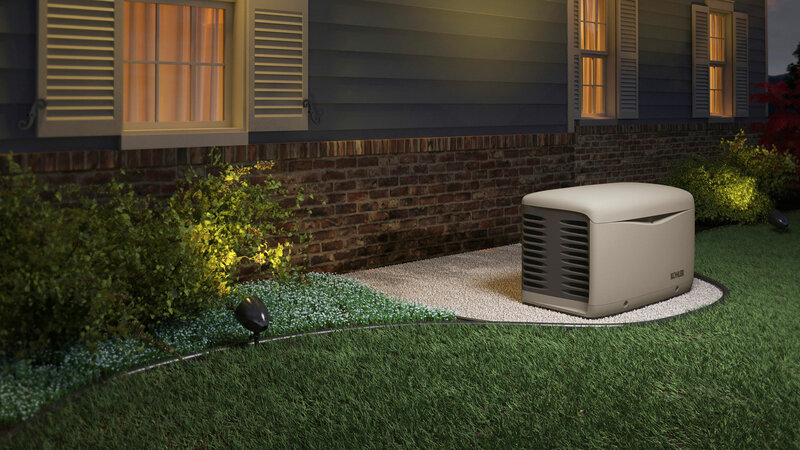 For the best in commercial and domestic outdoor lighting installations, countless customers have trusted in Dion Generator Solutions for quality and reliability. Whether you are looking to install or augment a security lighting system, we have the expertise to install the right kind of lighting system to fit your needs. We supply lighting products from the best manufacturers in the domestic lighting industry. As with all major electrical work, installing security lighting in Dade should be done by a certified professional. If not wired correctly, lighting systems have the potential to cause fire or injury. At Dion Generator Solutions, our electricians are fully trained in the proper installation of all lighting types, to ensure your home or business is well-lit, safe, and secure. It is a wise choice for homes and businesses to use security lighting with their other safety measures. Bright nighttime lighting in key areas inside and around a property has been shown to discourage vandals. From timed lights to bright motion-activated security spotlights, we know how to install the right kind of security lighting, in the right places, to give your property maximum security. For the highest quality landscape & security lighting in Dade, trust the experts in electrical and lighting systems. Give Dion Generator Solutions a ring today to set up your consultation to see what type of lighting is right for your home or business.